The NFLPA is hosting their “Business of Football: Rookie Edition” symposium at IMG Academies in Bradenton, Florida. Players entering the league will learn about financial planning, how to deal with the media and their new-found status as celebrities, and post-career planning. There will be a little football going on IMG Academies, as players for the Buccaneers are using that facility to hold a three-day mini-camp that gets underway today. Buccaneers quarterback Josh Freeman helped organize the event. 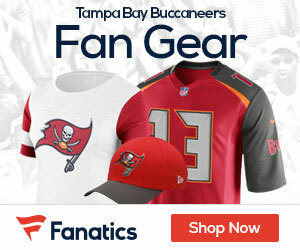 According to Anwar Richardson of the Tampa Tribune nearly four dozen Buccaneers, possibly even some rookies attending the NFLPA event, are expected to attend the camp, which will include two-a-day practices and weight lifting. “We’ve been doing stuff like this for a while now and Tuesday there will be a big group of us together,” Buccaneers linebacker Tyrone McKenzie said. “Everybody has been accountable to each other this offseason, so it’s been great and Tuesday should be an awesome day.